PRSA New York has requested diversity data from the industry, while PRSA's national office said the collection of demographic information won't be a part of its 2018 D&I efforts. NEW YORK: The PRSA and its New York chapter are divided over the latter’s request that agencies, fellow trade groups, and corporations disclose data on the diversity of their workforces. The PRSA’s national leader said the collection and analysis of demographic data will not be part of the organization’s diversity efforts. "We are not focusing on gathering info; we’re not a policing organization," said PRSA 2017 national chair Jane Dvorak. "That’s not what PRSA does." When asked how the PRSA will evaluate success without benchmark diversity measurements, Dvorak said, "It’s not that those measurements aren’t going to be there, it’s just PRSA isn’t going to be the one driving that data to make that happen." Nationally, the PRSA has established mentorship programs, and PRSSA, its student arm, has chapters at historically black colleges. It also provides scholarships for students to attend its annual national PRSSA conference and works with high schools in diverse urban areas. In October, it held a brainstorming session with about 400 leaders within the organization, assembly delegates, and incoming leadership for 2018 on how it could advance diversity and inclusion. Dvorak emphasized diversity can take many forms, including gender, sexuality, religion, and other types. She acknowledged progress can be "frustrating." "If we reach them at the ‘point of inspiration,’ we can have them make the choice to move into this amazing career," she said. "As you do that, obviously they’ll rise into the fold and leadership positions, and we’ll transform the industry over time." However, Sharon Fenster, president-elect of PRSA New York, said the chapter will continue to encourage the industry to make public its diversity data. "We’re committed to generating results, and we feel diversity data will help do that," she said. "I’d hate to look back on 2018 and [not] accomplish what we set out to do." 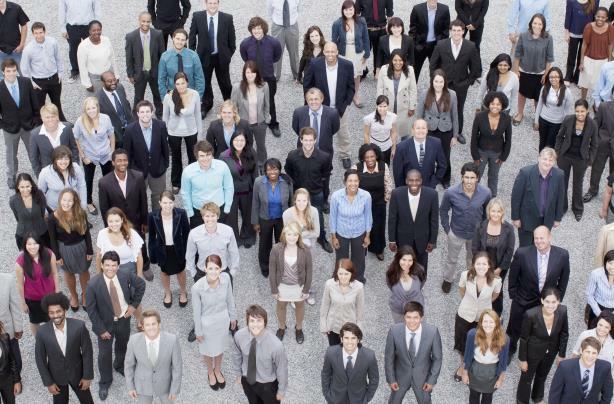 Last week, the PRSA’s New York chapter called on PR agencies and trade groups, as well as corporations, to release data on their workforces by demographics and gender. The group said its call to action came in response to Edelman CEO Richard Edelman’s call for an industry-wide set of ethics standards called the "PR Compact" in October. Of the 11 largest PR firms based in the U.S., only Edelman and FleishmanHillard definitively pledged to cooperate with PRSA New York’s request, though several others made statements of broad support for diversity initiatives. Advocates said the PR industry needs to do more to fix the dearth of diversity within its ranks. "I think that everything PRSA national and other associations and other firms are doing for entry level professionals with scholarships, fellowships, and entry level opportunities is terrific," said Mike Paul, president of Reputation Doctor LLC. "But there’s a big ‘but’: if you think this is the solution to the diversity and inclusion crisis that’s existed in the PR profession and advertising for more than two generations, then you’re naive." LaGrant Communications CEO Kim Hunter said the industry lacks "bold and innovative," diversity and inclusion solutions. "While I have no doubt many of the agencies, particularly the top 10, have made an effort to increase the number of ethnic and racial [employees], it’s quite obvious why agencies are so reluctant to disclose their workforce data: there is not a positive story to tell in terms of real impact," he said.